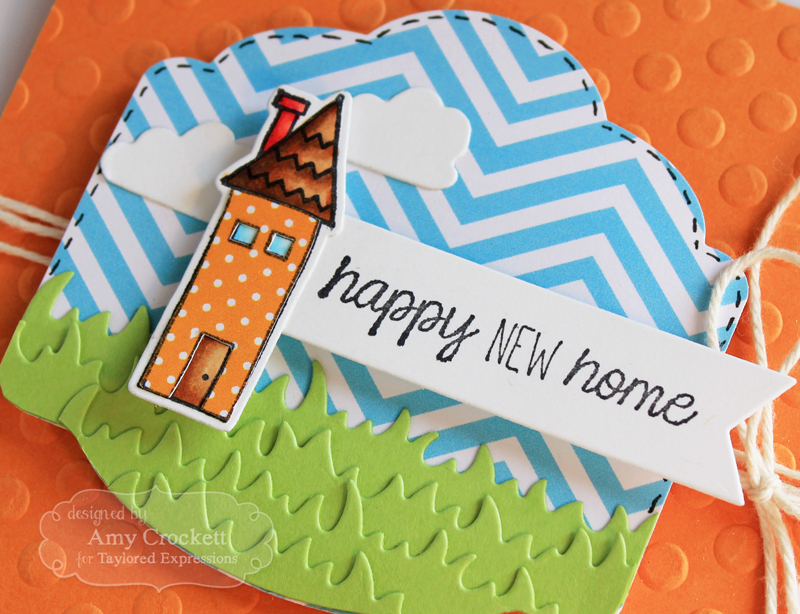 Scrapping Mommy: Happy New Home! Hello friends!! I am happy to share with you another of the fabulous cards I created with the January release over at Taylored Expressions.....the reveal for the February release begins tomorrow. I added some grass with the Grass Border die and then put the sentiment on one of the Banner Stacklets 1. To finish off the card, I tied it up with some Solid Natural bakers twine from The Twinery. Wouldn't this be a fab way to welcome someone into a new home?? I hope that you are having a great weekend!! See you on Thursday with my project with the new February release!! 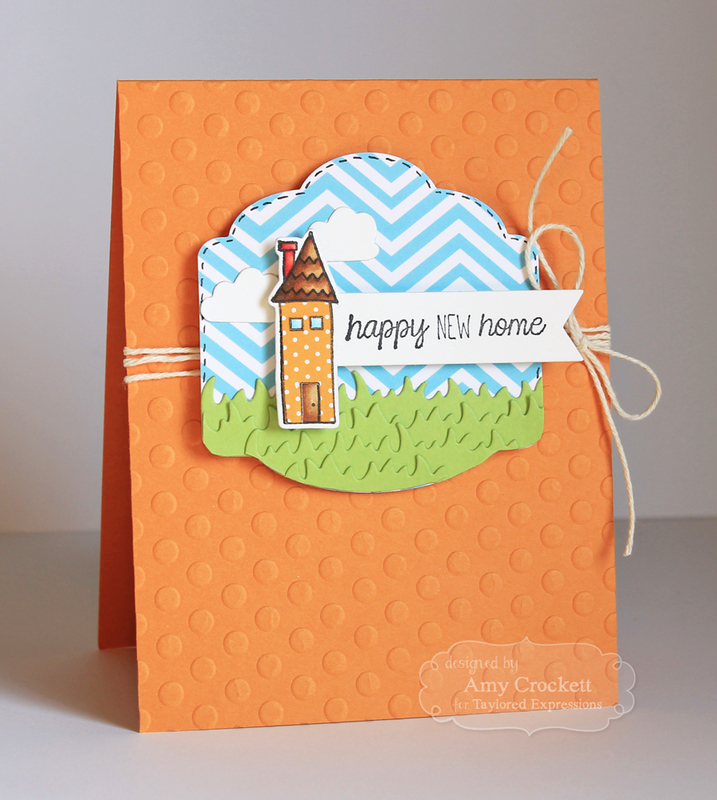 I am entering this in the Wednesday Sketch Challenge at the MFT Challenge & Inspiration blog HERE. What a super HAPPY card!